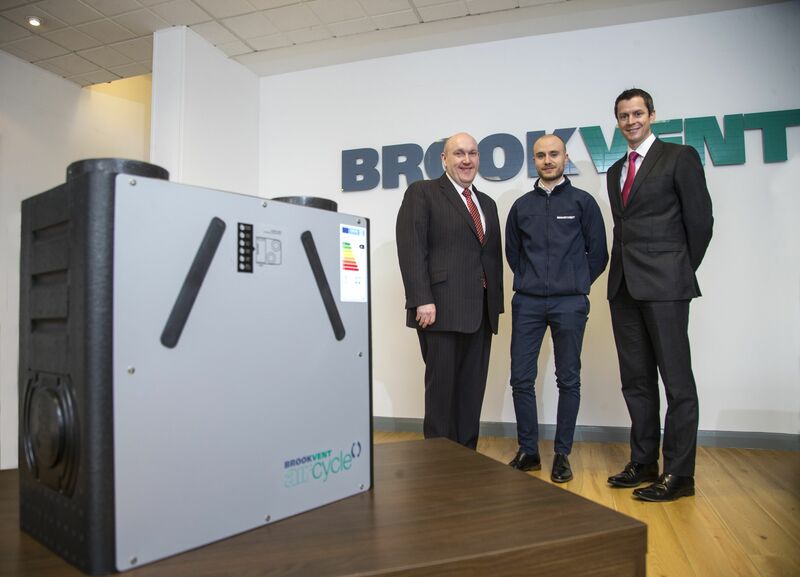 Alderman William Leathem, Chair of the Council’s Development Committee speaking about the visit said: “It is excellent news that new apartments in London will benefit from the energy saving Aircycle 1.3 product. Its intelligent design allows for high performance ventilation and 92% heat recovery efficiency, which is exactly what properties require to negate the effects of condensation on a person’s health. The aim of the Council’s business engagement visits are to profile local businesses, provide them with an opportunity to discuss key issues that are important to them and further strengthen business links between the business sector and the Council.